I don’t like games. Don’t care about sport. Can’t see the point. I realise this makes me a freak. In Melbourne, having an AFL team is a tribal thing. I’ve had friends who grew up interstate tell me that you can’t live in Victoria and not follow footy. But I’m here to tell you – you can. I have. And this ambivalence didn’t only spring from my own ineptitude with a ball (although that certainly helped). I just don’t like (what I see as) arbitrary rules. You kick the ball through the sticks. Whatever. You wear red or blue or brown. Whatever. I mean good for you – you’re fit and healthy – fantastic. I just don’t care. But for all of that, I’ve spent the past month engrossed in a game. A terrific, gripping, high-stakes, I-care-who-wins game. I even had a favourite player. I’m referring, of course, to Katniss Everdeen, of The Hunger Games. For those who haven’t yet indulged in the books (or the film), Katniss Everdeen is the 16-year-old protagonist of Suzanne Collins’s Hunger Games trilogy. 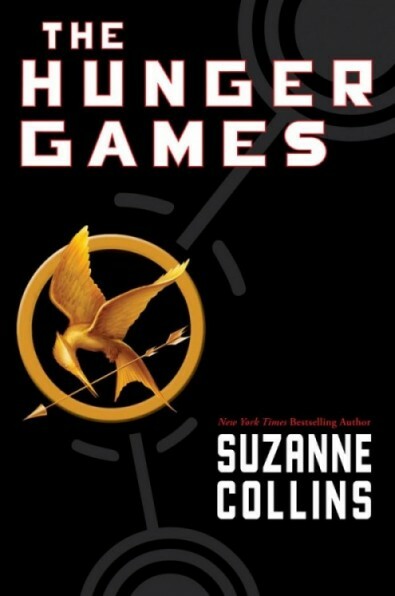 Katniss is thrown into a reality TV, fight-to-the-death arena with 23 other youths when her sister is chosen as a contestant in the ‘Hunger Games’. These games are staged each year to punish the population of a future North America (known as Panem) for past uprisings against the despotic rulers in the Capitol. Before I proceed any further, I do just want to say that Katniss is pretty great. She’s been called a “new female warrior”, a brilliant creation who cuts through the princess-heroine mythology with a bow and arrow, a gift for survival and a refreshing ambivalence about romance. She can be called feminist. And she’s wildly popular, if the numbers (50 million copies in print and digital format in the US alone, and an opening-weekend take of $US155 million) are anything to go by. 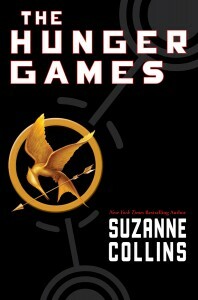 And not only is Katniss a great character – the books are a terrific read. There were things I didn’t like so much (such as the frequent descriptions of her outfit/makeovers/hair), but I roared through all three books with the kind of speed and absorption rarely seen since my teenage years. I made unscheduled trips to the library. Returned blank stares when asked what was for dinner. And I’m twitching to get away from my desk long enough to pick up the boxed set I ordered from my local bookstore. Reading these books (and I’ll focus mainly on the first one) got me thinking about games. The way they impose rules which seem, in some back-to-front kind of way, to give people the freedom to act. You’re not just standing on the grass with a squished ball. You’ve got something to do with the ball. (Kick it through the sticks, and all that). There’s competition, cooperation, and structure. We certainly see all of these elements in the ‘Hunger Games’ arena (where the stakes are, of course, somewhat higher than a golden cup). But what I think is most interesting is how the combination that Collins presents – a fiercely independent female protagonist and a dystopian, rule-bound future – helps make these books so appealing. Ours is a culture of persuasion. There’s no despotic overlord, forcing us to live in one place, rather than another; no law that says some people have more rights than others. We vote, we debate, we agree. But there’s all kinds of unfairness in the world. The causes are complicated, not least because we’re standing right in the middle of everything, as it’s happening. We’re working within a kind of mutually agreed truth that tells us who we are, and how we fit in. There’s no single rulebook for that truth. And high-school aged readers – at whom this series is targeted – are in the throes of working that out. Katniss, on the other hand, is living under the despotic overlord. She and her family would starve if she didn’t flout the law, and go hunting in the woods. She lives in a fenced-off area, called District 12, which is designated for coal-mining. School lessons are largely about coal, and the greatness of the Capitol. The District can’t afford doctors, and even those among the well-to-do ‘merchant class’ have little more to eat than stale bread. Life in the other ‘resource’ districts is similarly grim, if not worse, while those in the Capitol live in modern, clean housing and dine on delicacies like pork chops and orange juice. Yet we never think – not really – that Katniss is defined by her poverty. This is possible, I think, partly because (to reuse a quote from Harold Bloom) “the function of convention is to liberate the will”. 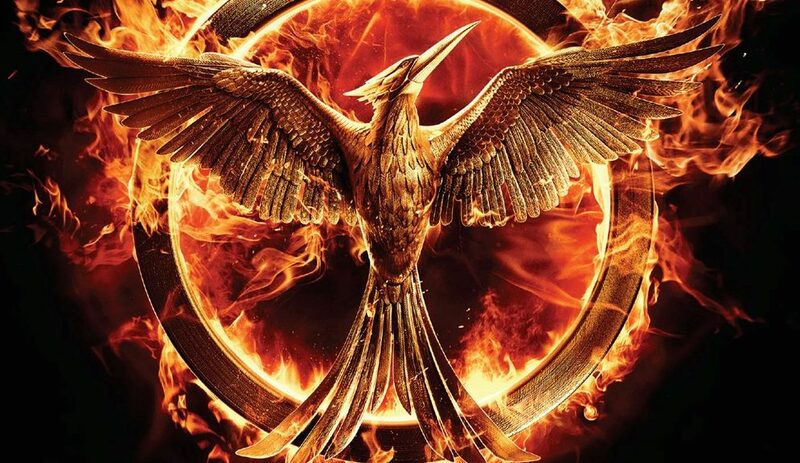 In The Hunger Games, inequality is writ large – it’s turned into a kind of rulebook. There’s a terrible hierarchy at play, horrible people to blame, something to clearly push against. And on top of that there’s a particularly nasty twist, in the form of the games themselves: by making the fighting into a festival, the Capitol tries to not just subdue the population, but persuade them, too. But Katniss is a fighter, and we see that precisely because there is something to fight. She steers clear of politics (arguably making her a more relatable character than one radicalised by a particular point of view), but she comes out swinging, subverting the oppressive regime in the early pages of the first book, when she volunteers to take her sister’s place in the arena. She continues to do this throughout the trilogy, although things get murkier as the series progresses. Now I’m not going to buy into the trilogy’s politics – or even the question of whether the books are meant to be social criticism at all (although I will note that one young reader recently asked me which developing country would be most like District 12). What’s interesting about Katniss’s story is not just the detail of her reality; it’s the clarity of her vision. The way the rules that constrain her, also allow her to act. Imagine, in contrast, the situation of the adolescent reader of these books. You’re young, not sure who you are yet. You’re at the mercy of your parents, of school, of who the world seems to think you might be. And depending on your circumstances, you might be coming to think that life’s not always fair. That some things are denied to you, even if you can’t always put your finger on what those things are, and why you can’t have them. You might even think you know who to blame, but get no traction. None of these hardships, thankfully, will be anything like what Katniss is up against – but I think there might be some moment of relief, in identifying with a character who knows what’s holding her back, no matter how impossible her odds are. Even if you’re losing the game. There’s some certainty there. Of course, there are plenty of grey areas, too. Just as there are in life. The Hunger Games invites us to condemn violence, while we watch it; presents us with a corrupt dictator, while showing us how he co-opts others into believing in him; and presents us with a game which is both a barbaric tool of oppression, and an entertainment. Ultimately, though, these grey areas play to the story’s strengths. Because Katniss’s genius is in her ability to hit the sweet spot between using the game’s momentum, and remaining absolutely herself – thereby turning the rules in her favour. If I were the game-playing type, I’d say that’d be the way to go about it. This is, as others have pointed out, reminiscent of Roman gladiators. Collins drew the notion of sending ‘tributes’ to a ruler appears from the myth of Theseus and the Minotuar. Laura Miller writes in the New Yorker that “only someone insensitive to the emotional tenor of the story could regard social criticism as the real point of Collins’s novel. The Hunger Games is not an argument. It operates like a fable or a myth, a story in which outlandish and extravagant figures and events serve as conduits for universal experiences”.